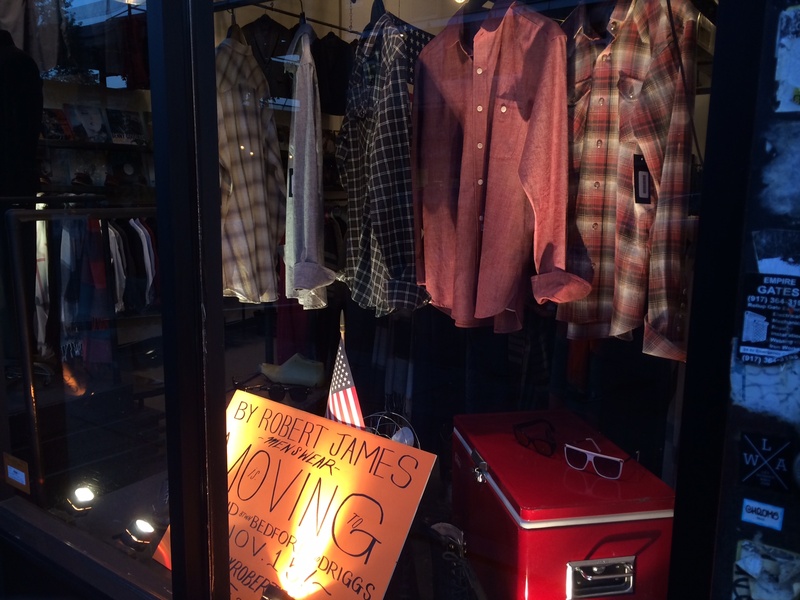 By Robert James has been outfitting dapper dudes on Bedford Ave since December of 2012, but time’s up for the pop-up shop. “We’ll be moving just around the corner on Grand, between Bedford and Driggs. So we’re still staying in the neighborhood,” said a clerk who added that a lease was being negotiated (according to a sign in the window, the new store will open Nov. 15). With the clothier (who also has a Lower East Side store) moving on from Bedford Ave, does this mean the Starbucks that was rumored to be coming back in 2010 will at long last be upon us? You’ll recall that when the Bagel Store, formerly next door at 241 Bedford, absconded to Bedford fields-afar (south of Metropolitan) due to a rent hike, rumors emerged that Starbucks would be taking over the space and serving up Grande Mocha Frapper Things-That-Are-Not-Really-Coffee to the thirsty masses. Thankfully, the Starbucks move-in never came to pass. So what’s popping up next at 241 Bedford? We haven’t heard back from the landlord, so at this point your guesses/alarmist rumors are as good as ours. We’ll let you know what we hear.